Government sources said the authorities in London have informed Indian investigating agencies about the freezing of bank accounts allegedly belonging to Peter Mukerjea and Indrani Mukerjea. 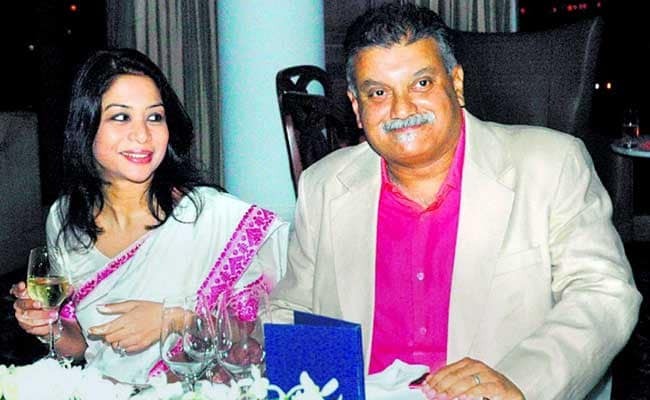 New Delhi: British authorities have frozen foreign accounts allegedly belonging to Peter Mukerjea and Indrani Mukerjea in connection with money laundering and corruption probes against them, people in the government who are familiar with the matter said. They said the authorities in London have informed Indian investigating agencies about the freezing of bank accounts allegedly belonging to the couple. They said the British authorities took action after India sent a formal request in the form of letters rogatories or LRs -- a means of seeking judicial assistance from another country to act against an Indian national or entity in a criminal probe. People familiar with the matter said the LRs were sent by the Enforcement Directorate or ED after consultations with the Central Bureau of Investigation in connection with its probe against the couple, INX media and others. Increasing cooperation between India and the UK on curbing black money and tax evasion led to the freezing of accounts, they said. The amount deposited in the frozen accounts could not be immediately ascertained. The freezing of assets in the UK will help probe agencies in taking their investigation forward and subsequently help them seeking attachment or seizing the funds under Indian laws. The ED recently filed a criminal case against the Mukerjeas, INX Media and others under the Prevention of Money Laundering Act or PMLA. As part of the PMLA case, the ED had also booked Karti Chidambaram, son of former Finance Minister P Chidambaram, and others apart from the Mukerjeas, after taking cognisance of a recent CBI complaint against them. The CBI last month carried out searches at the homes and offices of Karti Chidambaram in four cities for allegedly receiving money from INX Media to allegedly scuttle a tax probe. The Chidambarams had denied all the charges made against them. The CBI had filed its complaint against Karti Chidambaram and the Mukerjeas on charges of criminal conspiracy, cheating, receiving illegal gratification, influencing public servants and criminal misconduct.